When you want to smoke in style, this is the perfect ashtray. 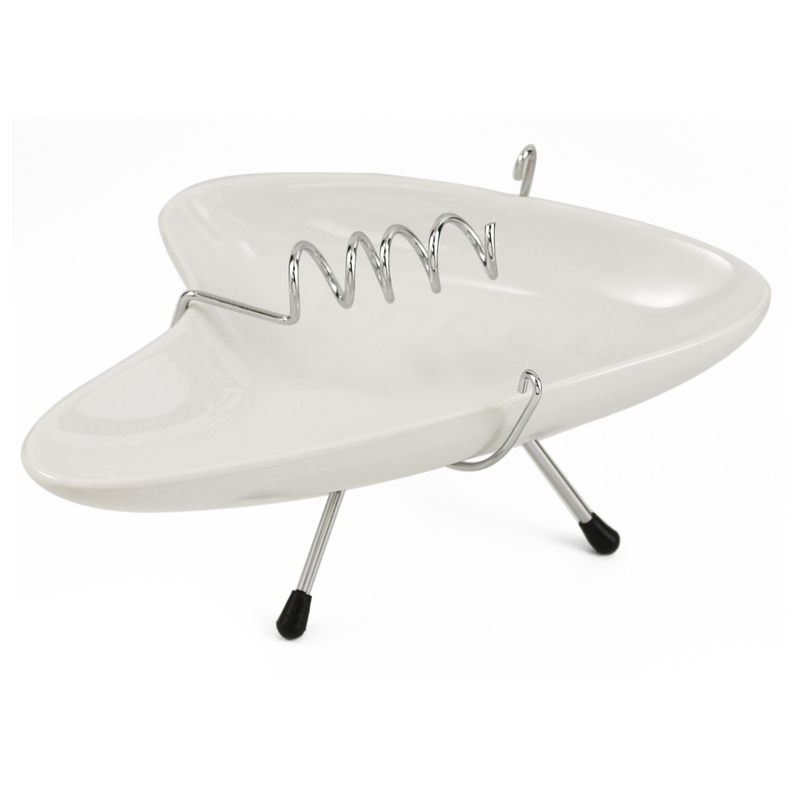 Constructed of white ceramic, this ashtray features a retro design that matches any decor. This ashtray also features a snugly fitting wire base, adding a touch of elegance. Dishwasher safe, this ashtray makes a great gift! 7 1/4" x 4 3/4" x 3"